2. That notice of the “seriously delinquent” tax debt was being forwarded to the State Department. It is clear that the letters from the IRS have started to go out. The purpose of this post is to explain in simple terms what this means for Americans abroad. The State Department cannot issue you a passport. The State Department may revoke your passport but is not required to revoke your passport. For most Americans abroad (who certainly have a valid U.S. passport unless they are dual citizens) receipt of the letter does NOT mean that they will lose their existing U.S. passport. Like all aspects of living as a U.S. citizen abroad, this issue will be governed by both the IRS and by the State Department. If the Secretary receives certification by the Commissioner of Internal Revenue that an individual has a seriously delinquent tax debt, the Secretary shall transmit such certification to the Secretary of State for action with respect to denial, revocation, or limitation of a passport pursuant to section 32101 of the FAST Act. Passports and Seriously Delinquent Tax Debt If you have been certified to the Department of State by the Secretary of the Treasury as having a seriously delinquent tax debt, you cannot be issued a U.S. passport and your current U.S. passport may be revoked. If you are overseas you may be eligible for a limited passport good for direct return to the United States. We would suggest that if you have seriously delinquent tax debt, you contact the IRS to resolve your debt before applying for a passport. If you do not resolve your tax issues before applying for a passport, your application will be delayed or denied. If you have seriously delinquent tax debt and have already applied for a new U.S. passport, we cannot issue a new passport to you until you have resolved your tax issues with the Internal Revenue Service (IRS). For more information on seriously delinquent tax debt, see Revocation or Denial of Passport in Case of Certain Unpaid Taxes on the Internal Revenue Service (IRS) website. So, where in the legislation and regulations does all this come from? Denial: Denial is mandatory when one applies for renewal or for a new passport. § 51.60 Denial and restriction of passports. (3) The applicant is certified by the Secretary of the Treasury as having a seriously delinquent tax debt as described in 26 U.S.C. 7345. § 51.62 Revocation or limitation of passports. It is not clear when the State Department would revoke an existing passport. I am not sure what incentive the State Department has to revoke an existing passport (just because of a tax debt). 1. The $50,000 “tax debt” includes interest and penalties. It’s easy for an American abroad to exceed this simply through “form transgressions”. 2. The people most threatened by this are those who do not have a second passport. Get yourself a second passport. The days of living as a U.S. citizen outside the United States are clearly numbered. Morning Mr. T. The Japanese phrase “ohayou gozaimasu” is right on target, it’s early, and there’s nothing good about it. “As of August 31, 2018, 272,656 taxpayers have been certified by the IRS to the State Department. Of those taxpayers, slightly over 17,000 have been decertified or reversed. A taxpayer cannot just pay the debt under $51,000 and have the passport revocation lifted. Once a taxpayer is selected and referred, full payment must be made to have the IRS decertify the debt. Will that be the end of liens and levies? 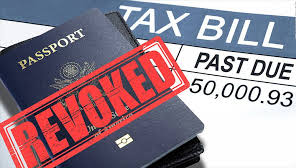 After assessing enough penalties against a taxpayer who doesn’t owe any tax, instead of issuing a notice of lien or intent to levy where the IRS might concede 100% of the penalties after calendar call in Tax Court, just revoke the passport so the penalties don’t have to be conceded. I’ve spoken with someone who’s afraid he won’t qualify for Japanese citizenship, who fears he won’t be able to renew his US passport and will be deported. He expects to lose his family. Other people accused him of exaggerating. It looks like Chief Counsel doesn’t accuse him of exaggerating. Usually in order to prove how inaccurate the administrative record is, don’t you need to have two separate cases with two separate administrative records? Exactly. There’s no limit to the number of penalties the IRS can trump up against people who can’t afford to fight. Running on just 4 hours of sleep, brain not firing on al cylinders. What does ““Chief Counsel takes the position that: 1) a taxpayer cannot raise the merits of the underlying liability in the passport revocation case;”” mean? Sorry, just not able to wrap my mind around aything yet, need two more cups of coffee before I can even make the attempt. In other words, what is the gist of your post. Ssems important but the fog, in my head, is too think. The law on Collection Due Process Hearings says that if the victim didn’t receive any Notice of Deficiency then the victim is allowed to contest the underlying liability (the accusation that taxes and penalties are owing). This isn’t available to someone who did receive a Notice of Deficiency because the victim had an opportunity to contest the underlying liability in a deficiency hearing. The law on passport revocation doesn’t say that if the victim didn’t receive any Notice of Deficiency then they can contest the underlying deficiency. The IRS’s Chief Counsel now confirms that the 5th Amendment right to due process is even deader than it was already. Thank you, and I mean that, for this informtion. We need as much we can get. Please put it in as simple terms as you, so that even a monkey can understand, as the Japanese say. I am dead tired. I think you know who that is. Maybe I should have edited the copy of my comment that Procedurally Taxing might post tomorrow since they’ve been accepting my comments recently. I think you know who they are. The IRS’s Chief Counsel expressed positions that they will do exactly what you’ve been afraid they’ll do. Thank you. It was that last sentence I was unclear about. Yes, even in my stupor, I was ble to discern who the first two statements were about. Now, in my stupor, I am unable to glean where the IRS’s Chief Counsel agrees with me. I wouldn’t ask if you had not already done the work and I were not dead tired with nor prosect of a rest for many weeks to come. Where did tge IRS’s Chief Counsel express positions that they will do exactly what I’ve been afraid they’ll do? Also,this would be of great concern to others in my position. I’m sorry ND, but I am the walking dead today. I simply do not understand point 1). What does “raise the merits of” mean? It means arguing whether the assessed penalties (or tax if it was tax) are justified or not. F F F F F! Lot, LOTS Fing LOTS of innicent people are going to lose everything and without any recourse. Just a matter if time. Especially as anyone who tries to infirm others are labled bad names for their efforts. I’s LOVE to hear you take on this. I couldn’t actually follow the discussion. My take is, don’t live in a country where you can’t get citizenship if you only have a US passport and plan to owe the US government a lot of money. Whether you meet that last criteria is a bit of an unknown – time will tell. Passport revoc. is fine and dandy, I suppose, as a weapon for those who have one but what does our splendid and wondrous US government propose to do against green card holders, for example? Aren’t those poor unfortunate bastards also subject to FATCA as “US persons”?… and if they have their green cards revoked won’t they then be automatically freed from their CBT tax obligations? If I’m asking a stupid question then so be it, I don’t care. I will confess that I have been thoroughly confused for the last eight years. The American tax system is straight out of Hell and it’s run by mad men ever since. p.s. Thanks Obama and the democrats for this oppression. How can I say this? We are forever in your debt. The green card situation is bizarre. If you stay out too long (more than one year?) you can lose your green card from an immigration standpoint (i.e. not be able to return) but if you didn’t file the I-407 form to give it up, you’re still considered tax resident by the IRS. There are other complications too, stay in the US longer than 8 years on a green card and you face exit tax consequences when you leave. That craziness pre-dates FATCA, as far as I know, so we can’t blame Obama for it. As for consequences of not filing etc. after leaving I don’t really know, it’s not something I’ve had to worry about, and likely not an issue unless there are US assets or Social Security payments at risk. I think it’s fairly common for green card holders to depart and do nothing and simply stop filing. You knew what I was going to say when you asked, so don’t act offended. Analogous to the theoretical situation of a renunciant who doesn’t file 8854? In theory the former citizen and the former green card holder are still US-tax-resident even though neither has residence rights and neither can be forced to play US tax games. It makes no sense from a revenue perspective, nor as a vengeful “weapon in a war against expats”, but might not look so crazy from a perspective of preventing the person who has lost residence rights from trying to sneak back into America and live there without paying tax. Maybe. I recall reading on this site a few years back a letter from, if I remember correctly, a guy in Serbia that was a green card holder and was having troubles with his bank at home. 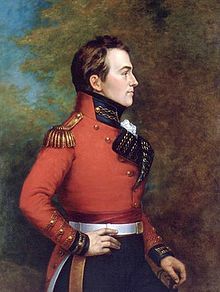 His English was not very good but he managed to express his frustration and confusion at being hounded three years after he left the states. I’m a fair minded man but Obama can go to hell; pre-Fatca and post Fatca, along with the the US bankers who likely thought of Fatca in the first place and paid the dems to sneak it through. I think the green card situation becomes problematic for those who leave behind assets: various types of tax-protected retirement savings or perhaps a house that they’ve kept as a rental property rather than sold. But it’s not something I’ve ever needed to educate myself about, so know very little. I don’t recall the guy from Serbia but I imagine that if a bank knew that he had spent time working in the US, they could be extra vigilant and ask difficult questions. (Was he planning to wire over a bunch of money still in the US, for example.) Whereas someone forewarned could simply pretend they were never there and say nothing. Interesting. They presumably must have used the Green Card regulations as a model for the rich-renouncer regulations. A Green Card holder can file a 1040NR to claim US tax breaks, am I right? Or as a way to prevent the former citizen/GC-holder from filing US tax forms – e.g. to claim tax credits? Who knows? In an effort to keep this hobby under control, I haven’t dug too deeply into the green card business, other than saving my mother from herself a few years ago. An individual shall cease to be treated as a lawful permanent resident of the United States if such individual commences to be treated as a resident of a foreign country under the provisions of a tax treaty between the United States and the foreign country, does not waive the benefits of such treaty applicable to residents of the foreign country, and notifies the Secretary of the commencement of such treatment. So the 8854 and the “checking out of US taxation” business seems to be about not being able to claim US tax breaks on US-source income while claiming treaty tax breaks on non-US income. And at that point the exit tax applies, insofar as the former PR/citizen plays ball.